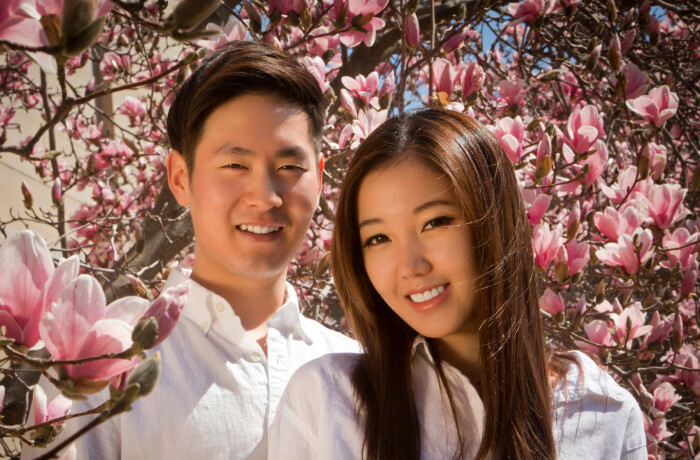 Spring arrived and Heewook and Haeseong were excited for their engagement photos. They wanted to do "romantic, but dignified" with the thought that even future employers might see the pictures. We started at the University of Michigan Law Quad and then headed towards campus. They will be headed home to South Korea for their wedding and life together, but their portraits from America will stay with them forever. What a beautiful and happy couple!! Wedding photography by Photo Impressions Gallery -- an Ann Arbor / Plymouth MI Portrait Studio. Appointments are by reservation only.